The Japanese economy is beginning to show signs of recovery after years of stagnation/deflation, but many Japanese policymakers warn that this economic growth may be sluggish: slower than in the United States and certainly slower than in other East Asian countries. Japan faces significant economic problems, including an aging population, a large fiscal deficit, and the need to adjust to the IT economy and to competition with the rest of East Asia. A slow growth scenario would greatly reduce opportunities for new productive investment and would make it increasingly difficult to provide for Japan's growing social needs. 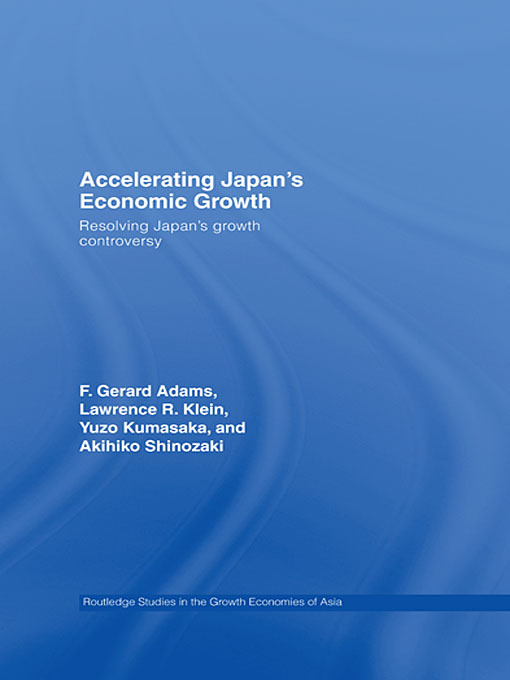 This book will be of interest to students of the Japanese economy, macroeconomics and international economies, and also to policymakers and professionals interested in Japan’s economy.